When it comes to shoes, there are few more comfortable than Skechers. 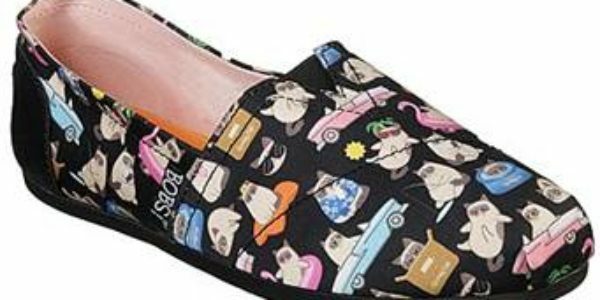 This year, BOBS Skechers is teaming up with Best Friends Animal Society again to help them raise money with a new line of shoes featuring Grumpy Cat! These are my favorite “work from home, run around town, relax shoes”. 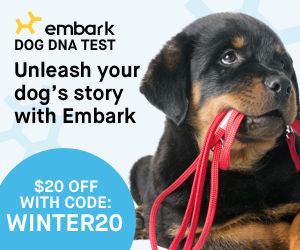 They are ideal for wearing around the house, taking the dogs for a walk, or heading out to an all-day conference. So, you can probably see why this is such an important initiative. 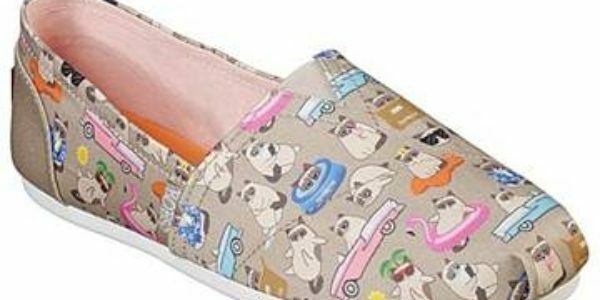 If you’re looking for an adorable and very comfortable piece of footwear, the addition of the Grumpy Cat line of BOBS shoes is almost too cute to handle. If you’re not familiar with Grumpy Cat, allow me to refresh your memory. Grumpy Cat (aka Tardar Sauce, her real name) is an internet sensation. She is known for her permanently “grumpy” facial appearance, which is caused by an underbite and feline dwarfism. She was launched into the internet as a superstar after millions of memes used her permanent “Grumpy” photos to inspire fans in their day-to-day lives. Grumpy Cat now has well over 13 million fans on social media and drives nearly 1.5 million monthly visitors to grumpycats.com. This famous cat has gone on to star in her own movie, receive a Madame Tussauds wax figure and now, inspire a shoe line that’s committed to saving the lives of pets just like her. 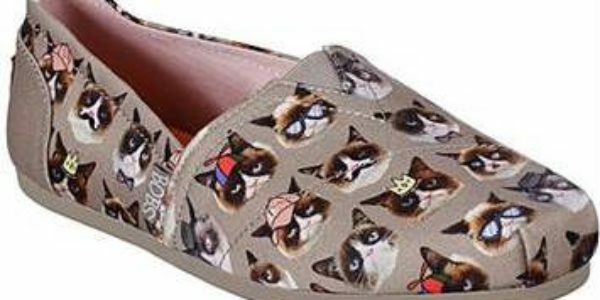 Every time you buy a pair of Grumpy Cat’s shoes, you are supporting Best Friends Animal Shelter. She’s starred in her own holiday movie, been immortalized as the first cat to ever receive a Madame Tussauds wax figure, inspired thousands of products, and is now sporting her famous frown on the casual footwear line from Skechers – all devoted to saving animals’ lives. 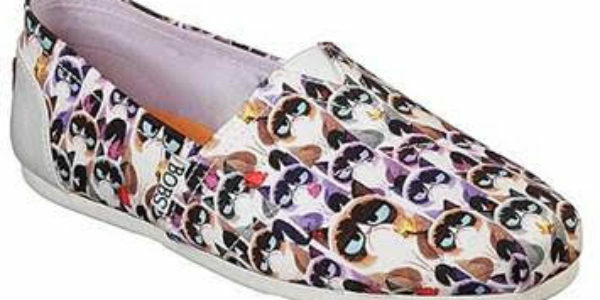 The Grumpy Cat BOBS Slip-on shoes retail for $45 and make an EXCELLENT gift for any cat lover. They are supportive, durable, easy to wash, and incredibly comfortable. Order your pair from Skechers website or online at Amazon.